﻿ Why The Businesses Should Have An EIN Number? When starting a new business, there is a lot of paperwork that has to be filled out, including licenses and government forms. 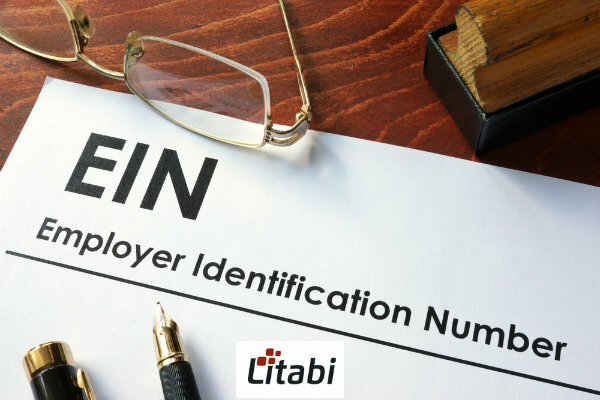 One of the first things to get, however, is an employer ID number (EIN). Today we’re going to look at the importance of an EIN to your business, as well as how to get one. Simply put, it’s a crucial step to getting your company off the ground. This is a nine-digit number provided by the IRS that is used to represent your business for tax purposes. Rather than using your personal Tax ID number (social security number), your company has its own that will go on all related documents. If you are forming a corporation, then yes, you do. If you plan on hiring employees, then yes, you do. Only if you are forming a partnership or a sole proprietorship can you avoid getting an EIN, assuming that you never plan on hiring staff for your business? Other perks of having this number include being able to get a company bank account and filing for a business license. Without this number, you can’t do either of those things, which is why it’s so important to have one as soon as possible. Fortunately, the process is quite easy. You can apply for an EIN online on third-party websites that will guide you through all of the necessary details. You fill out some paperwork, pay a flat fee, and then you’ll get your number in a matter of hours, perhaps a day or so depending on when you file. It’s that simple. Every business needs to use an EIN or a Social Security Number (SSN) legally. While most businesses use their SSN, you can now use your EIN on all official documents. Using the EIN is a better option because it is not that sensitive. If your SSN is stolen there could be a lot of personal problems that will be caused. An EIN is also useful when you plan to open a business bank account. The EIN also comes handy when you are trying to change the type of your organization or want to try and establish corporate business credit or even for establishing retirement, pension or trust plans. The EIN also comes in extremely handy when you are trying to take over another business. Once you have an EIN you will never have to worry about it expiring or a reissue needed. Even as a sole proprietor you will find it beneficial to have an EIN. It will help when you are looking to file for bankruptcy. If you do decide to hire employees there will not be any hindrance. Applying for an EIN at the time when you decide to hire employees will only slow down your progress. When you are running a business it is always better to plan two to three steps ahead. A number of sole proprietors also tend to form partnerships or convert into an LLC later on. However applying for an EIN at that time may result in delays in forming the partnership and this can result in losing out on a lucrative deal. With an EIN in hand, you will never have to delay any of your decisions anymore. Overall, if you’re not sure whether or not you need an EIN, it’s always better to have one than not. This way you are covered and your business will be a separate entity from yourself, which can be a huge benefit. Also, since it’s so easy to get your online EIN application, there is really no reason not to have one.